The epic battle continues, and what a battle it is. 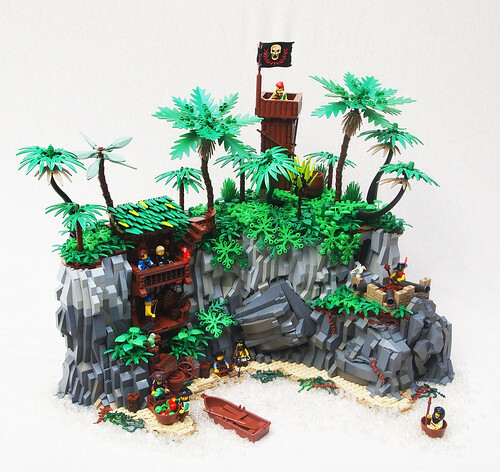 Mark of Falworth brings us a wonderful island, truly a pirate's paradise. With lush trees, a lookout tower and beautiful rock work. 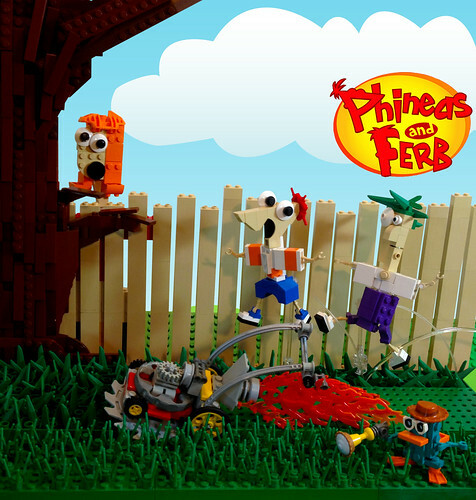 Siercon and Coral counters with a cartoon favorite, Phineas and Ferb. Check out Perry!